Dr. Christopher Hancock is a radiologist in Palm Springs, California. He received his medical diploma from the Medical College of Georgia School of Medicine in 2002. After getting his medical degree, he did an internship in internal medicine at Carolinas Medical Center. Dr. Hancock completed his medical education with a residency in radiology and a fellowship in neuroradiology, both at Jackson Memorial Hospital – Jackson Health System. He is certified by the American Board in diagnostic radiology and neuroradiology. His subspecialties are general radiology, neuroradiology and bone imaging/ musculoskeletal. 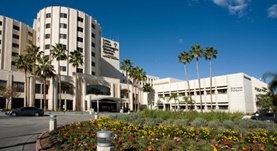 Dr. Hancock works at Loma Linda University Medical Center. He was awarded the honor CMS Stage 1 EHR in 2013. He has published three articles in collaboration with other doctors. Dr. Christopher Hancock has contributed to 3 publications. Flexor femoris muscle complex: grading systems used to describe the complete spectrum of injury. Hancock, C.R., Sanders, T.G., Zlatkin, M.B., Clifford, P.D., Pevsner, D.; Clin Imaging. 2009-03-01. Medical tort reform: a novel approach. Hancock, C. R.; J Am Coll Radiol. 2006 Nov.
Acetabular labral tears and cartilage lesions of the hip: indirect MR arthrographic correlation with arthroscopy--a preliminary study. Zlatkin, M. B., Pevsner, D., Sanders, T. G., Hancock, C. R., Ceballos, C. E., Herrera, M. F.; AJR Am J Roentgenol. 2010 Mar.